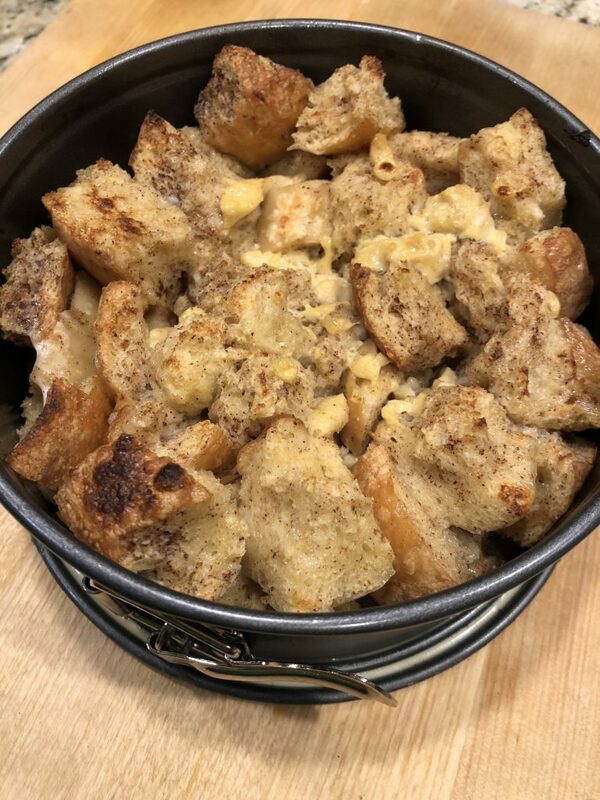 We are already almost done with month number two of Food In Jar’s Mastery Challenge for 2019. February’s challenge is fermenting, which I have to admit did not feel like it was going to be a huge stretch for me to take on. If you’ve visited my kitchen recently, you may notice that I have jars of kombucha, sourdough starter, and milk kiefer on the counter at any given time. 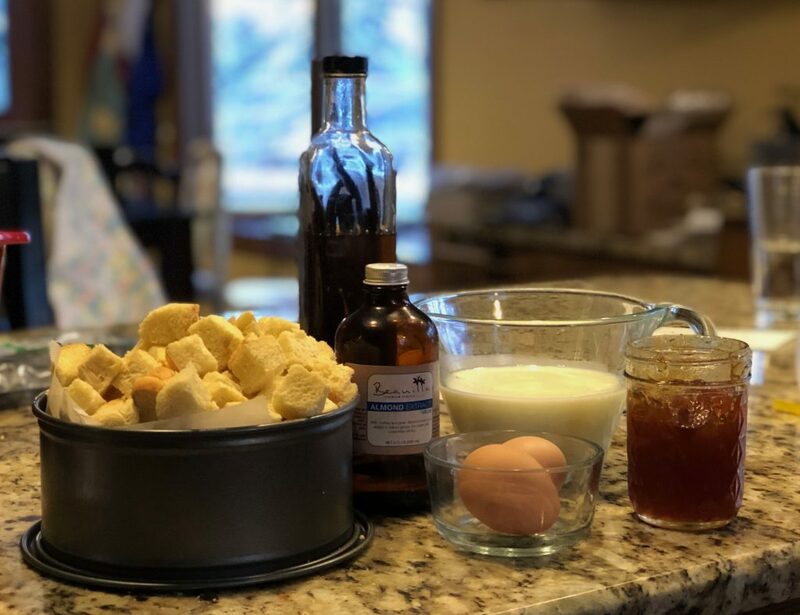 In order to take this challenge up a notch from my norm, I decided I would post this blog with some links and references for any of my readers who are interested in trying something new. As I go, I’ll add some photos of my creations. I started the month by baking bread some no-knead sourdough breads. 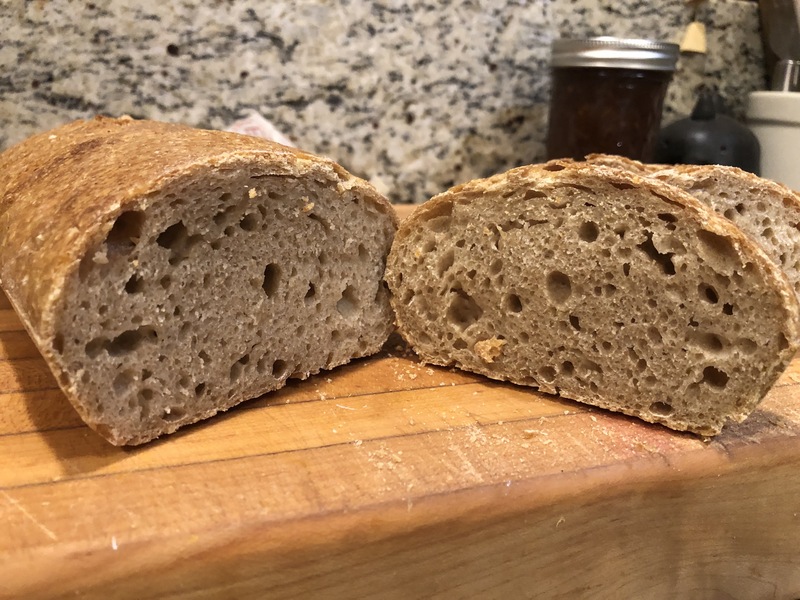 I use Breadtopia’s method, but another very successful teaching resource is King Arthur Flour’s crusty white bread. King Arthur’s method is especially good for those of you using white flour and instant yeast. I baked several loaves over a week-long period and shared the extra loaves with a few lucky friends. If you are interested in owning a sourdough starter, you have three options. # 1 – find a friend and ask for some of their discard. Option 2 is to purchase starter from a site like King Arthur or Breadtopia. And option 3 is to make your own starter. I personally like the directions given at Breadtopia’s site. 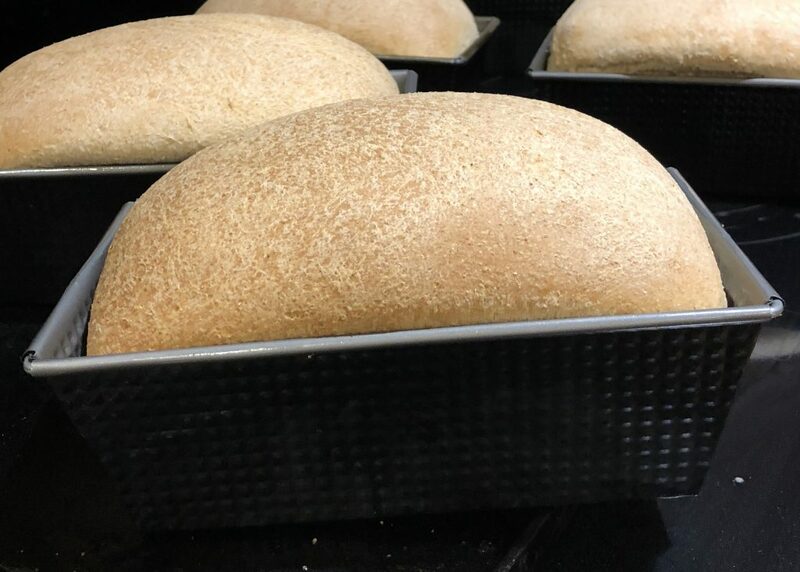 Once you get into sourdough, you’ll have extra starter that you’ll need to use up. 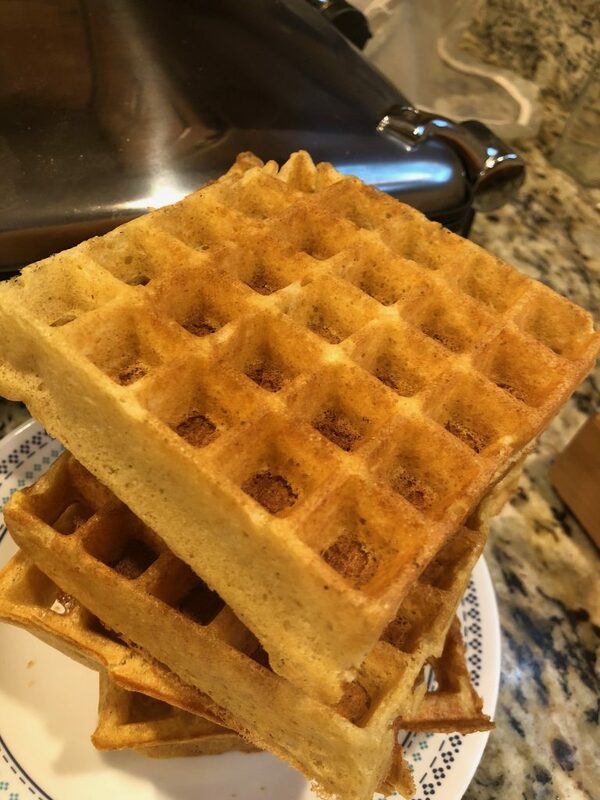 Try my Classic Sourdough Waffles (or Pancakes) for a light and fluffy waffle – you mix it up the night before and then it’s pretty much ready to go in the morning. 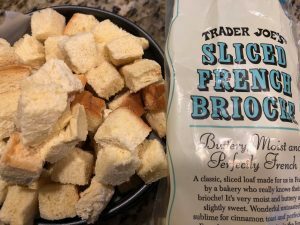 Another personal favorite recipe of mine is my Sourdough English Muffins – it is just so satisfying to make these at home. I keep them in the freezer for morning egg sandwiches. I promised myself that I would take the time this month to teach a few friends to make their own kombucha. These dear friends have been asking to take a kombucha lesson with me, but it’s been more talk than action. We changed that this month and they got started with their own home-brews. To begin with kombucha, you need some starter liquid and a SCOBY (Symbiotic Culture of Bacteria and Yeast). If you have a friend who brews kombucha, chances are good that they will have a SCOBY that they can share with you to get started. Another way is to order one from an on-line site or to track me down for a class. 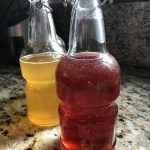 If you are looking for more kombucha information, one of my favorite sites for learning about kombucha is Kombucha Camp. I also like a book called The Big Book of Kombucha by Krum and LaGory. Fermented foods are the best. Enough said. I’m done here. To make sauerkraut, it is as simple as slicing cabbage and adding salt. This is called “lactic-acid fermentation” in the pickling circles and is an amazing way to preserve foods – it’s tasty and healthy due to the probiotic formed as the foods ferment. I have a bad habit of making a lot of my lacto-fermented foods such as pickles and kraut in the fall when my garden is over producing. But it is totally possibly to make these foods during other seasons. And considering the length of this winter, it may also be a good idea to be making kraut in February as it has high levels of vitamin C in addition to probiotics that help with gut health. I like to make kraut in small batches in mason jars. 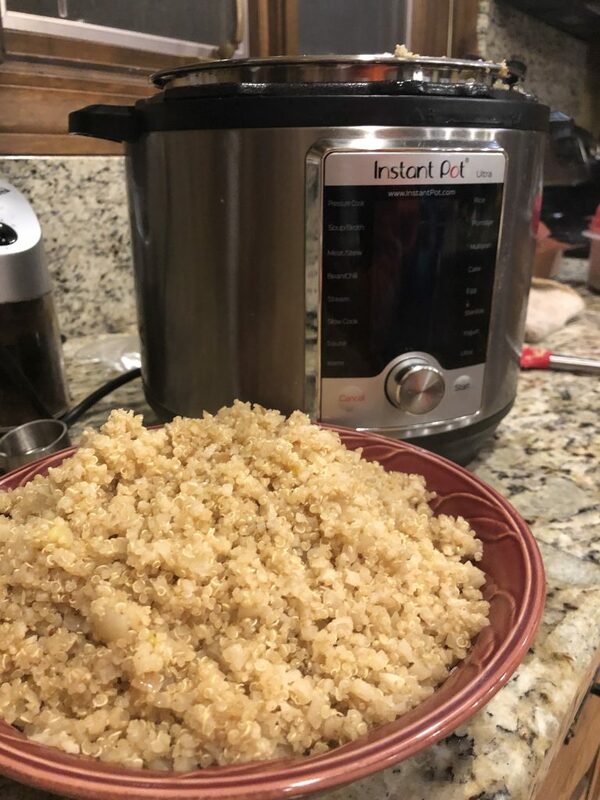 Here is one of my favorite technique and recipe for a basic batch of kraut. I also like the Masontop line of small batch tools. You can find Masontop products in stores such as Big R. I also have some Masontop and Kraut Source products in my kitchen store (contact me for more info).